Many technologies exist to address the needs of the finance organization, yet Excel remains the day-to-day workhorse for most professionals. Leveraging our industry leading reputation for Excel training and best practice skills, WSP consultants help clients improve Excel based models, analytics, and associated processes. We build financial and operating models that bring together finance, accounting, business operations, and modeling skills to help your organization become more efficient, dive deeper and present better. Whether financial statement models, large acquisition models or treasury spreadsheets, we deliver best practice Excel models that help you better analyze and present information. Messy models add unnecessary risk, confusion and cost. We provide full scope reviews when independent audits are required for investments or lending situations. We also informally review client models, and provide feedback and suggestions against our modeling standards. In these cases, we are able fix or rebuild your models to implement best practices and capture efficiencies. Many financial processes involve staff spending time repeating rote tasks in Excel, downloading data from myriad sources and trying to piece it all together. With an understanding of common back office functions, we can harness Excel’s power and database connectivity and significantly automate common functional processes. Finance transformations projects are expensive and risky. Proper implementation of Excel in the back office can often achieve 90% of the objective with only 10% of the cost. Even where large IT projects are required, a proper suite of Excel models and project documentation can serve as a baseline for the requirements definition phase of the larger project. This will save time and lower implementation risk, while also providing a better working solution during the interim process. Industry specifics often require custom revenue and expense modeling. For certain large industries, we have developed models which reflect sector specific drivers and structures, allowing us to quickly model a particular business. Model review and remediation Public Health Services CompanyRemediated the corporate FP&A model to simplify the approach and apply best practices. The new model reduced the number of Excel tabs from 60 to 30 and reduced update timeline from 2 weeks to 4 days. Bespoke Financial ModelsGlobal Commercial BankDeveloped an integrated forecasting model (IS, BS, CFS) to analyze bank performance and liquidity under complex regulator defined scenarios (CCAR and Living Will requirements). Bespoke Financial ModelsMining CompanyDeveloped TargetCo financial models and pro-forma merger analysis for the acquisition of an industry peer, and incorporated diligence findings from other third parties. Bespoke Financial ModelsMiddle Market Auto Parts SupplierDeveloped an operating model to reflect detailed cost drivers impacting production performance and new project evaluation. Automation and process enhancementsManufacturing CompanyDeveloped a suite of Excel files with an embedded workflow, and linked to corporate data warehouses and external market providers. This significantly reduced FTE burden during the quarterly close process. Model review and remediation Regional Commercial BankReviewed forecasting models for the bank’s commercial and lending businesses. Drafted model validation documents to support regulatory requirements. 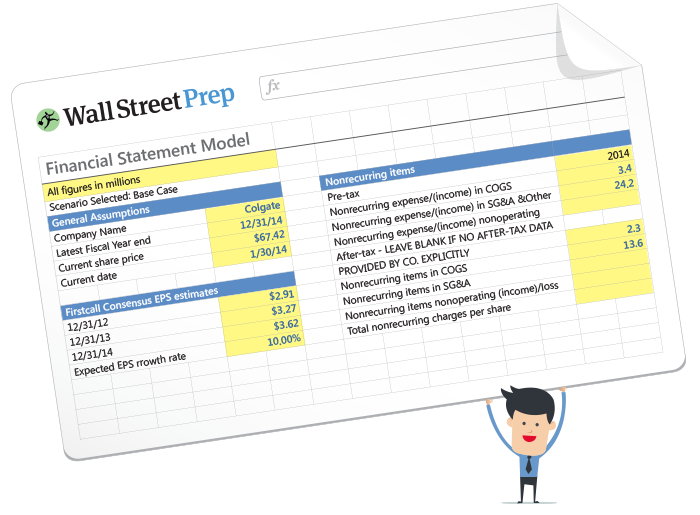 Excel model prototypingLarge Public CompanyRedesigned the company’s budgeting models and streamlined the quarterly reporting process, allowing the company to down scope a proposed Hyperion implementation. Automation and process enhancementsAsset ManagerDeveloped an Excel and SQL based tool that standardized the quarterly asset valuation process and significantly automated the steps required to update market comps, corporate assumptions and variance reporting for a global asset manager. Model review and remediation Global Asset ManagerReviewed a diversified energy investment portfolio, then created a suite of standardized best-practice models for use by investment managers for over 100 investments. Bespoke Financial ModelsIndustrial BankDeveloped a shareholder value model for industrial lender, integrating forecasts across multiple businesses, risk weighted assets and capital requirements. Automation and process enhancementsInvestment BankDeveloped an Excel-based dashboard to present executives with business-unit and corporate financial results, KPIs and worked with managers to streamline the update process. Bespoke Financial ModelsLarge Public REITDeveloped a suite of operating models that reflected commercial and residential lease up and operations. Model review and remediation Treasury Department at a Global PE FirmReviewed a suite of treasury spreadsheets used for daily cash analysis tasks and identified improvement opportunities that reduced user manual calculation requirements. Bespoke Financial ModelsSolar Panel ManufacturerDeveloped an operating and investment model as the client sought to enter the U.S. rooftop and utility scale solar power market. Model review and remediation Global Infrastructure FundReviewed Toll Road and Bridge PPP models for factual accuracy, incorporation of deal assumptions and overall term sheet structure. Excel model prototypingReal Estate DeveloperWorked with the company to increase fidelity of its Excel-based forecasting tools and developed project documentation that was used to develop requirements for the forecasting module of a new ERP system. Automation and process enhancementsInsurance CompanyDeveloped an Excel- and Access-based pro-forma analysis tool that allowed the client to rapidly assess carve out/standalone financials under various scenarios and management adjustments. Learn how we accelerate projects with our Excel model toolkits.